I’m sucker for good bread and these easy ciabatta rolls are simple and delicious, soft and chewy too! This is a two-step recipe: one for a “biga” and the second step is making the dough using the biga. 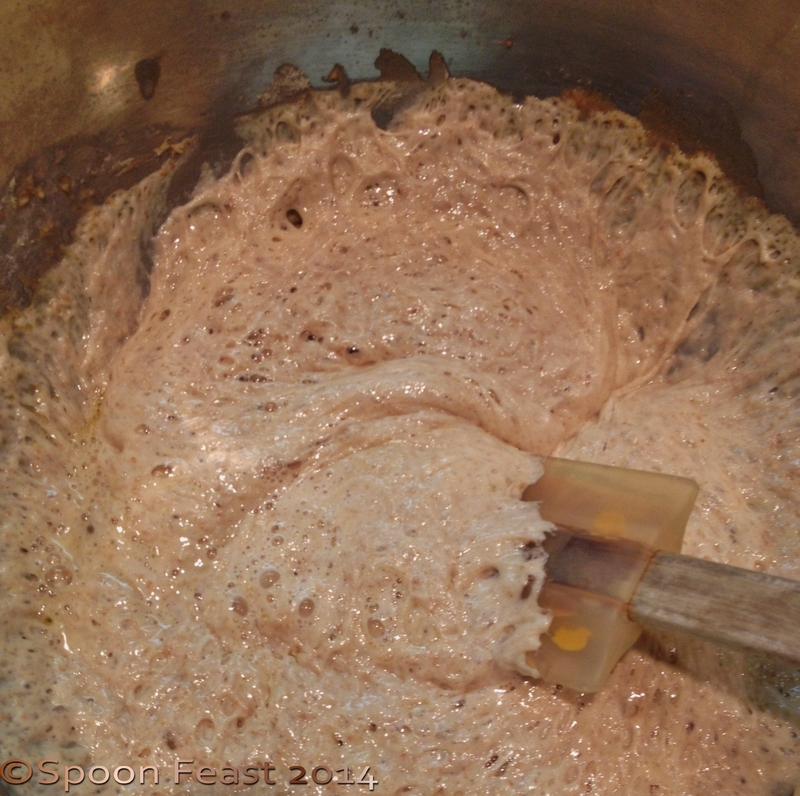 The day before you want the bread is the time to start as the biga needs to ferment overnight. Mix these ingredients into a bowl, cover and let sit in a warm area for at least 12 hours, up to 24 hours. the mixture will be wet and bubbly. Mix all of the ingredients in a mixer on low-speed until well incorporated. Knead on low-speed for 2 minutes, then increase the speed to medium and knead for an additional 4 minutes. Cover the bowl and let the dough rise for 1-2 hours. Once the dough is risen, turn the dough out onto a well floured surface. 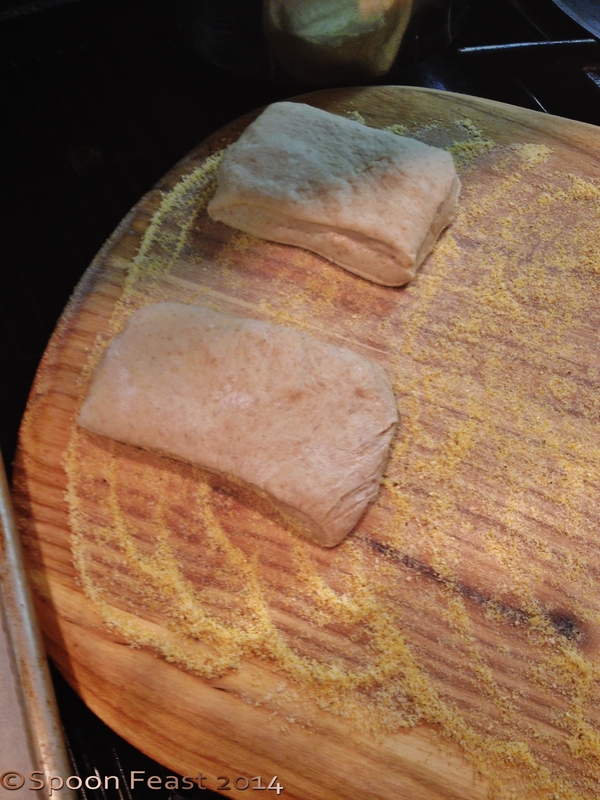 Shape the dough into a rectangle about 6″ x 12″. Use a serrated knife or pizza wheel to cut the rectangle into 8 equal portions. Place the rolls, flour side up onto a parchment lined baking sheet. Let rise for 45 minutes. If you have a bakers peel, sprinkle it with corn meal and place the rolls on that to rise. Slide them onto the hot pizza stone after they have risen. While the rolls are rising, preheat the oven to 450°F. If you have a pizza stone, preheat that too at this time. Slide the rolls from the bakers peel onto the stone and bake for 12-15 minutes or until the rolls are golden brown. These make great sandwiches and sop up soup like a champ, or slice them open for a quick pizza. 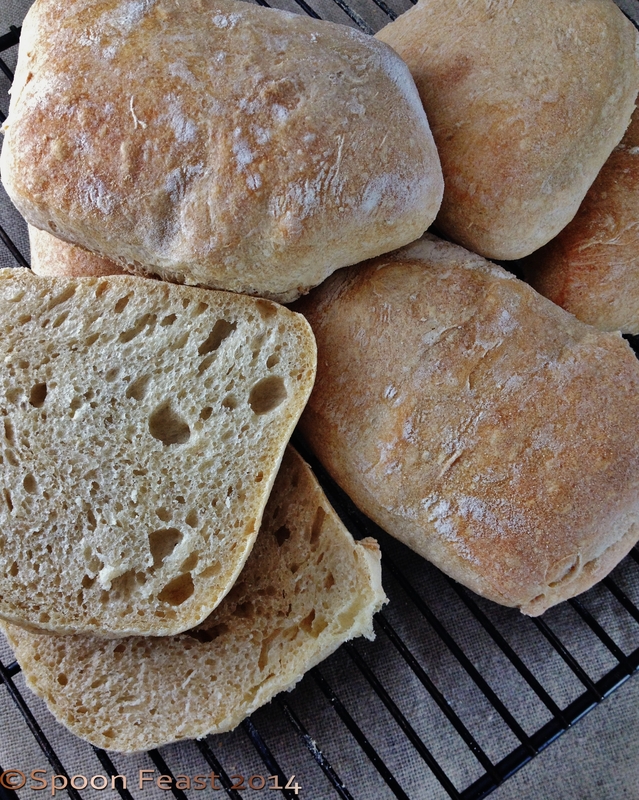 What’s your favorite way to use ciabatta rolls? This entry was posted in Baking, Breads, Recipes and tagged chewy italian bread, Ciabatta, cibatta bread, cibatta rolls. Bookmark the permalink. There is something about ciabatta and soup! Thanks Uru! Beautiful! I make a high hydration sourdough ciabatta – mainly because it’s so easy and it’s the bread we eat when I’m feeling lazy! We eat ciabatta dipped in olive oil and vinegar! I absolutely love ciabatta! There is nothing quite like it; it can transform any ordinary sandwich into marvelous! Yes it can, it’s my favorite sandwich bread.